Courier Fees: Fees for express mailing loan packages. Credit Report: Financial report on borrower. Discount Points: Percentage of mortgage amount to adjust interest rate as required by lender. Doc Prep Fees: Document preparation and administration fees as required by lender. Doc Stamps on Note: FL tax required on executed notes whether a new or assumed mortgage. Home Inspection: To flush out any existing or potential problems on major systems of the home such as electrical, plumbing, air conditioning, heating or roofing, and also on appliances being conveyed in the transaction. Homeowners Association Fee: Monthly, quarterly or yearly homeowners service assessment fee. 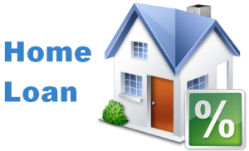 Homeowners Warranty: Home protection coverage on major systems and built-in appliances. Intangible Tax: FL tax required before a mortgage is recorded, except on an assumed mortgage. Mortgage Assumption Fee: To transfer the loan into buyer’s name. Mortgage Insurance Premium: Insures the lender for amounts in excess of 80% against borrower’s default. Origination Fee: A fee to lender to originate the loan. Recording Fees: For recording the closing documents at County Recorder’s Office. Survey: To outline exact boundaries of the property and search for encroachments. Tax Service Fee: Fee for handling the payment of taxes to the proper taxing authorities. Termite Inspection: To determine if the home has infestation of termites, powder post beetles, or other wood destroying organisms or fungi. Ttle Insurance for Lender: An insurance policy for the lender guaranteeing a clear and marketable title. Underwriting Fee: A fee charged for underwriting the loan as required by lender. Expect the lender to conduct a detailed review of the borrower's income and asset documentation for both U.S. residents and foreign buyers, however, a foreign buyer is required to establish a bank account in the United States and make a deposit of the down payment amount into that account in order to obtain a mortgage. The interest rate will be slightly higher with a foreign buyer than those for U.S. residents, and like U.S. residents, foreign borrowers are charged closing costs on a mortgage which will include lender and third-party fees. Mortgage lenders are also tougher on a second-home loan application than on a primary-home loan. The second-home loan rate is traditionally one-quarter to one-half point higher than those for first residence, and the same is true for origination points. Is this a primary home for your family? Is this a second home to rent out to others as a long-term rental? Will you use your second home on occasion then rent to others when not in use?